Whether you're renovating your home or building from the ground up, we've got what you're looking for. When you choose Andersen® , we not only provide you with high-performing, dependable products, we support them with exceptional service. New windows and doors can be a major investment, but if you choose wisely, you're rewarded with better light, comfort, added security and energy efficiency. When it comes to making such an important decision, make sure you go with a brand you can trust. 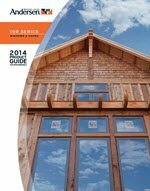 Series products a winning choice for anyone considering vinyl windows and doors. 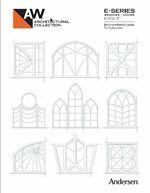 A-Series products from the Andersen® Architectural Collection were designed in conjunction with leading architects to ensure each is authentic to the architectural style you select. Whether it’s a stately Queen Anne, a bold Modernist design or anything n between, you can create it with A-Series products. Now more than ever, Andersen offers what you need to design, build, remodel and replace. 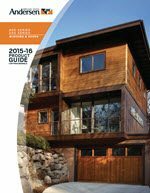 All in addition to the things that have made Andersen an industry leader for over 110 years — including the energy efficiency customers demand, a history of environmental stewardship, the backing of a renowned limited warranty and the confidence that comes from working with products crafted for the long run. 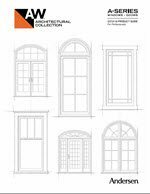 The Andersen E=Series Architectural Collection is an industry-leading, innovative apprach to windows and doors that's based not on the type of window or door, but rather on the style of home you want to create. Never before has it been so easy to evaluate your options and easy to select the windows and doors that fit not just the home, but your vision. Handcrafted form the finest wood available, Andersen® entranceways introduce your home with uncommon elegance. They showcase artistry, intricacy and exceptional beauty to complement the character of your home and those who live inside. 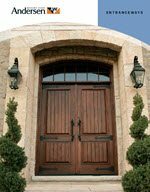 Andersen® offers a full line of storm doors that add instant beauty to your home and improve the efficiency of your entryway. 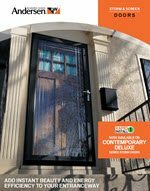 Designed to deliver performance, convenience and easy installation, their storm doors offer the peace of mind you’ve come to expect from Andersen®.